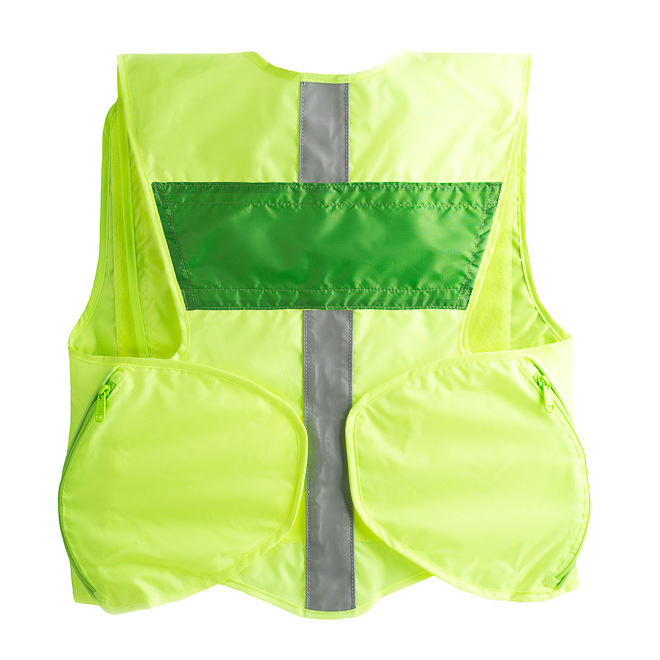 This fluorescent high visibility ANSI "Duty," helps keep personnel safe, easily ID'd and key vital rescue tools close at hand. A true hybrid safety vest-pack. 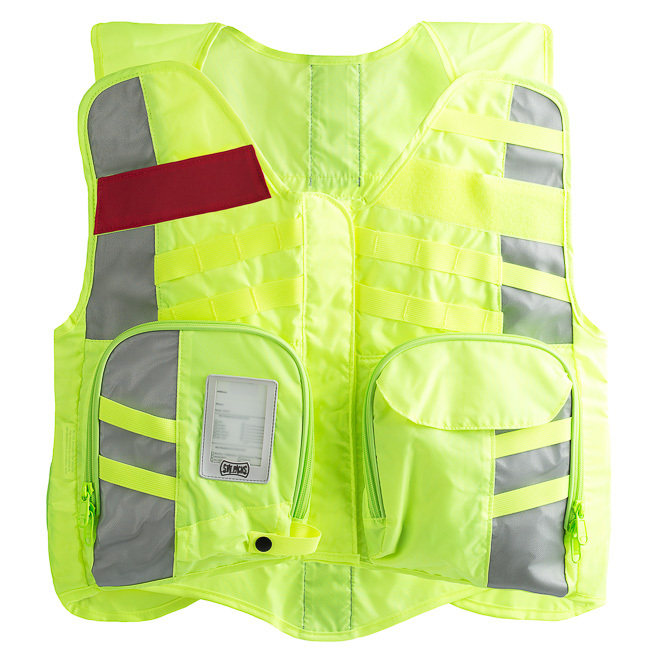 This ANSI safety vest is designed for roadway accidents and medics who require a highway EMS vest/pack hybrid. One adjustable size fits everyone on staff comfortably. Our EMS vest is also an ergonomic alternative for medics who cannot (or choose not to) wear a backpack. 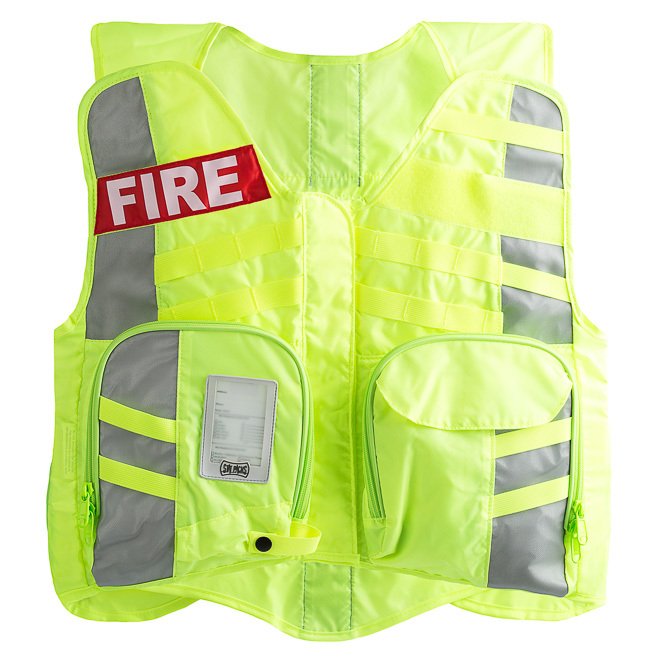 All vests include front and back removable EMS plates. Pre-printed and Custom removable plates available below. Choose plate background color then click ADD TO CART to add custom text. 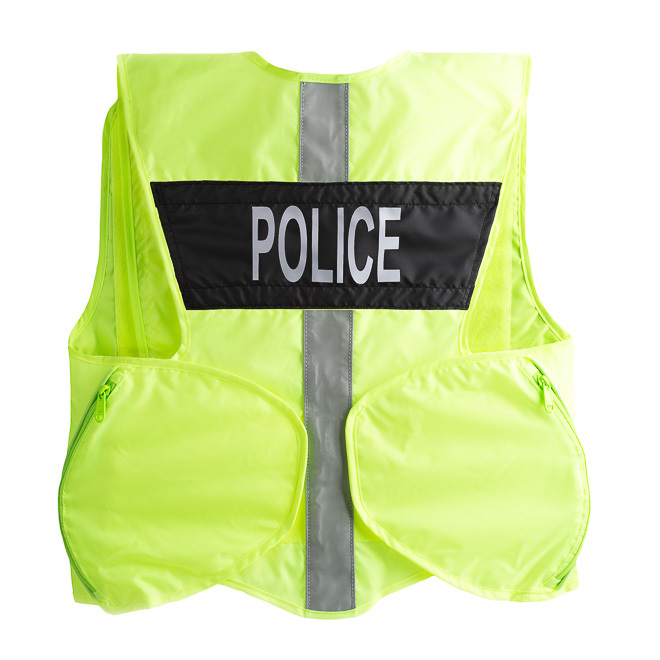 Each vest includes one set of nameplates (one small front and one large back plate) of your choice. Please select from the dropdown menu. Blue EMS plates are included if no selection is made. Additional or custom nameplates can also be ordered.